To win the hearts, minds, and dollars of the public, Google TV will have to pass two tests: the Mom Test and the Nerd Test. To win the hearts, minds, and dollars of the public, Google TV will have to pass two tests: the Mom Test and the Nerd Test. The Mom Test measures (in perfectly scientific ways, provided your definition of science includes “my opinion”) whether the average non-techy person will be able to both easily use and see the value in a product. The iPhone passes the Mom Test. Ubuntu does not. The Nerd Test, on the other hand, measures whether those who are already familiar with tech will respect and appreciate this new effort. Boxee passes the Nerd Test. Apple TV does not. have to remember that we are, in general, weirdo obsessives who take tech far too seriously, and that we don’t represent the norm. The Nerd Test, on the other hand, is especially important for Google TV, which needs a ton of development before it reaches its potential. If the nerds ignore it, it’ll wither and die. I called my own mom to ask about her thoughts on Google TV. Not surprisingly, she hadn’t heard of it–she is, I think, pretty typical in her use and understanding of tech. She has an HDTV and Verizon FiOS cable, but no DVR and, importantly, no smartphone. She’s watched some video on Hulu in the past, but doesn’t have a Netflix account and has never tried to play Web video on her TV. Her reaction to my lengthy explanation of Google TV? Cautiously interested. She likes that, unlike Boxee or Windows Media Center, Google TV mostly stays invisible–she spent enough time struggling with the switch from Comcast to Verizon, and she doesn’t want to deal with a radical change. I estimated the price at around $150 for the Logitech box (any more and I think they’re sunk) and she found that a reasonable entry point. She likes the idea of a built-in Google TV, like in Sony’s upcoming sets, as well as the so-far-unsaid possibility of Google TV built into a cable box, but that also depends on the marketing more than anything else (see below). While she liked that Google TV brings Hulu and other Web video to her TV, she’s totally uninterested in the myriad other features, like streaming video on a local network, music/photo support, and, notably, apps. Apps on a TV are overwhelming, especially for someone who’s never owned a smartphone. And, like I expected, she did not see the point in browsing the Web on a TV, no matter how optimized it is. or trackpad? ), and an ugly and overwhelming mass of grids. This could be a problem–not an unbeatable one, but not one that should be underestimated, either. a display unit at Best Buy, she’d almost certainly ignore it, assuming it was some fancy new set-top box that’s beyond her tech abilities. Slingbox, the Boxee Box, TiVo, HTPCs, Roku, and all the rest faced the same problem at retail–even after the manufacturers gave employees special training on how to sell TiVo. much, with its talk of saving bookmarked video to a homescreen. For those in the Mom Test demo, bookmarking and homescreens, let alone DLNA servers, are anathema to a simple TV experience. Will those in this demographic, the non-nerds, buy Google TV? It may be more likely to succeed than Boxee or Windows Media Center, but its success will depend largely on marketing. For the Nerd Test, in a fit of self-absorption and self-deprecation, I chose myself. I’ve used the Apple TV (and hated it), Windows Media Center (and liked it quite a bit), and Boxee (and really liked it), as well as a host of media streamers, game consoles, and assorted other set-top boxes. I’m not, nor have I ever been, a developer, but as a nerd consumer I think I can speak for this demographic. After taking the service for a spin yesterday using Logitech’s as-yet-unnamed box, Google TV doesn’t go far enough, in my opinion–it’s less a media center and more a portal to services I already have. Why am I buying a set-top box that can’t record TV to a hard drive, that can’t search through a cable-company-provided DVR, and that doesn’t replace Verizon’s ugly, inefficient Guide with something more, well, Googley? The emphasis on search works well enough. But if Google TV is mostly a search bar for all of my existing crap, plus Web video and assorted stuff on the Internet, it won’t revolutionize my TV experience–it’ll just make parts of it slightly easier. I like that it integrates an entire living room together, thanks to Logitech’s IR blaster. It lets you use one remote–preferably a smartphone–to control a TV, cable box, stereo, DVR, and whatever else requires remote control. That’s a huge advance. on my TV, nor do I even particularly want to listen to music, podcasts, or Pandora via those speakers. This is turning into some kind of Dr. Seuss gone nerd diatribe, but you get the idea–apps on a TV might be great in the future, but they’re not great now (I do not like them, Dan I am). 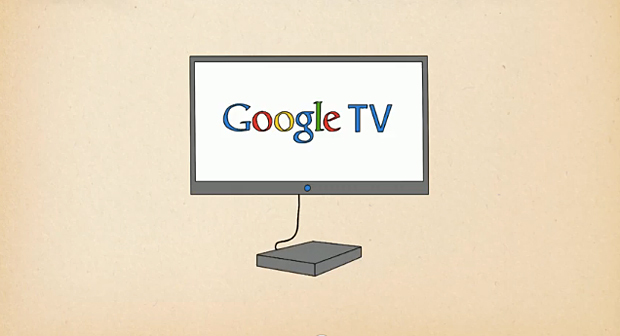 There are a lot of unknowns about Google TV that complicate these tests. Mobile Android is pretty lacking in video codec support, for example. That’s forgivable on a smartphone, but a dealbreaker on a media center. If I can’t stream my torrented TV episodes because Google TV doesn’t support Xvid or .MKV, it’s worthless to me. I wasn’t able to get much of a look at Hulu or Netflix through Google TV–what’s it like to browse through those sites? (And it sounds very likely that Hulu won’t be available on the service after all, unless some deal is struck before launch.) Is it like Roku or Boxee, where you’re limited to the movies that are already in your Instant Watch queue? Can you browse new releases, instead of having to search for them? There are lots of things to like about Google TV, but I’m not sure it’s a better option than the upcoming Boxee Box. Nevertheless, tech pundits (Fast Company‘s included) will search for a variety of meanings from Google’s move into the TV business. Is it that Google is vying to control your home entertainment center, just as Microsoft has been doing for years (with marginal success outside of Xbox 360)? Are Google and Apple about to engage in a wrestling match for control of your big screen? You’ll hear both of those points, and lots more before the first product is released in the fall. But no matter how many pixels are spilled talking about the promise and perils of Google TV, its success depends largely on mom, and whether or not she can be convinced it’s worth buying.